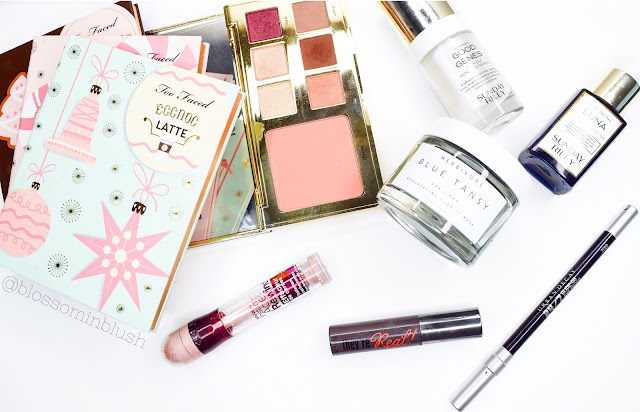 But here is a list of my latest beauty obsessions! Sunday Riley Power Couple Duo : Total Transformation Kit - So I had been wanting to try the Luna Sleeping Night Oil and the Good Genes All-In-One Lactic Acid Treatment for a long time now. I had received a sample of the Sleeping Oil, and after the first use, I decided to cave. Luckily for me, I found this kit for $85 (each full size product is $105). As expected, the oil is freakin' amazing. Formulated with retinol and blue tansy, it helps "[improve] skin plumpness and helps fight the appearance of wrinkles, redness, and pores". I use this bad boy every single night and it's done me good. I will be purchasing the full size when I run out. As for the Good Genes Treatment, I had trouble figuring out the best use for it. It definitely exfoliates and declogs my pores but the formula felt a bit greasy. At first, I was using it at night, on top of the sleeping oil, but then I tried using Good Genes during the day, and just the oil at night. I was getting better results this way, especially when I was breaking out. I then figured I like it best used sparingly (every other day or less) and/or as a spot treatment at night, after the oil has sinked in. So yeah, I like it, but I don't LOVE it. Not sure I would spend $105 on a spot treatment, you know? I'm glad I tried it, but I most likely won't be repurchasing it.